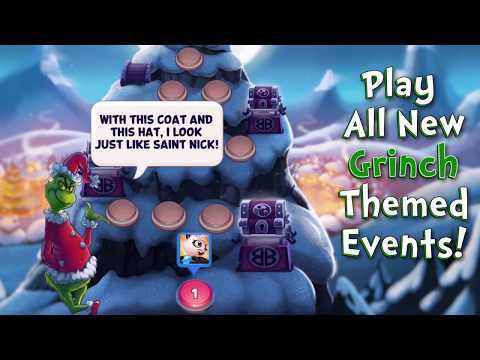 - The Grinch returns with Grinch-themed events, daily login rewards and an updated Zen Garden with the Grinch theme! - New Grinch Raid: take on the Grinch to earn amazing rewards! - HALLOWEEN BONANZA! Enjoy costumes new and old through October! - VIP Mode: Players that complete the last level can now play any level to participate in events! Build and Customize your own Zen Garden for In-game power-ups! - Race with your team to Feed the Dragon! "What's New:- Continue your bubble-popping adventure with new worlds like RESTFUL REFUGE- Pop on with more new levels!- Halloween theming- Upcoming costume events and sales- New events and content- Bug fixes and optimizations"
Features:- More popping fun levels beginning with Quiet Quay- Exciting events, new costumes and the Carmen Mirpanda Costume Bundle!- Special summer-themed loading screen! "Mama Panda is sailing away! Join her crew and explore the mysterious Shipwreck Shores.Features:- More popping fun levels!- Exciting events with a stealthy new costume!- Improvements to overall stability and performance- Bug fixes to Dojo DashStay up to date for awesome daily rewards, events and more!" Another adventure awaits! Help Mama Panda keep her babies safe and enjoy the all new Quiet Creek!Features:- 20 fun and challenging levels- A new obstacle thats sure to shuffle things up!- Brighten any conversation up with new iOS 10 Stickers featuring your favorite adorable Panda Pals! (iOS store copy only)Remember to check back often to get the newest events and features!" Update now! 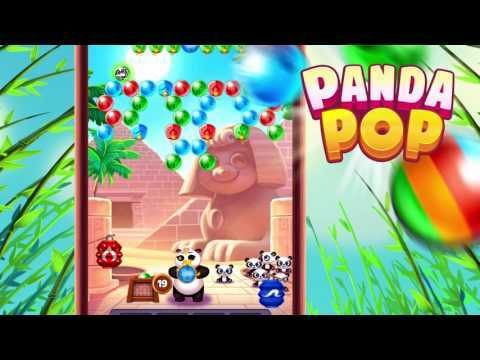 Travel to Rainbow Ravine to help Mama Panda save her precious babies!Features:20 pop-tastic levels!Exciting new events and promotions just for you!Download the latest version to enjoy the latest events and features! Pop On! Mama Panda needs your help! Travel to Lost Horizon to unlock new challenges and save more baby pandas!Features:20 exciting new levels!Play daily to access the latest events and offers!Download our latest version to continue! Pop on! "Mama Panda needs your help to save the babies! Travel to Cobblestone Court to unlock new challenges!Features:20 New Levels!Check back daily for new events and offers!Download the latest version to continue! Pop on!" Update now! Help Mama Panda Save her babies on 20 New Levels!Features:Continue onto Celestial Isles!Now with 2000 Levels!Check back often for new updates! Play daily for the latest events, special offers, and features! Mama panda could use your help saving the babies on 20 all NEW LEVELS!Features:- A brand new world: Magma Mountain!- Check back often for new events!Download the latest version and get popping! Update now! 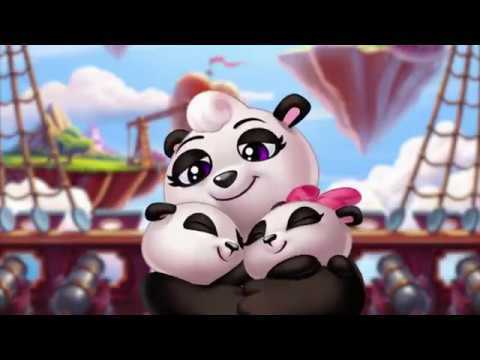 Help Mama Panda save her babies on Serene Sanctuary! Pop on!Features:- 20 New Levels!-Many more worlds to come! Keep checking back weekly for more updates!Download the latest version to continue your popping journey.